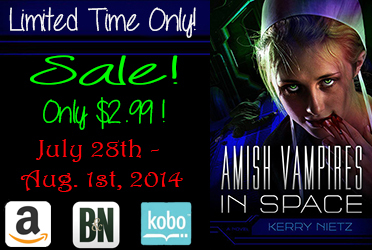 Jebediah has a secret that will change his world forever and send his people into space. 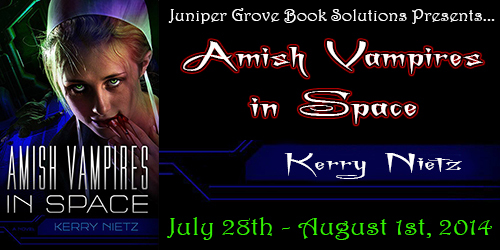 The Amish world of Alabaster calls upon an ancient promise to escape destruction. Then end up on a cargo ship bound for the stars. But they are not the only cargo on board. Some of it is alive…or used to be. Now, with vampires taking over and closing in on the Amish refugees, these simple believers must decide whether their faith depends upon their honored traditions or something even older. Kerry Nietz is a refugee of the software industry. He spent more than a decade of his life flipping bits, first as one of the principal developers of the database product FoxPro for the now mythical Fox Software, and then as one of Bill Gates’s minions at Microsoft. 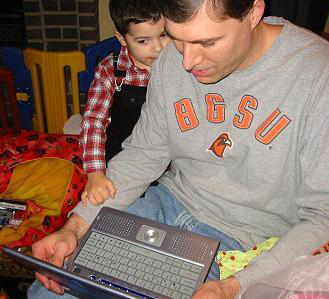 He is a husband, a father, a technophile and a movie buff. He has one non-fiction book, a memoir entitled FoxTales: Behind the Scenes at Fox Software. 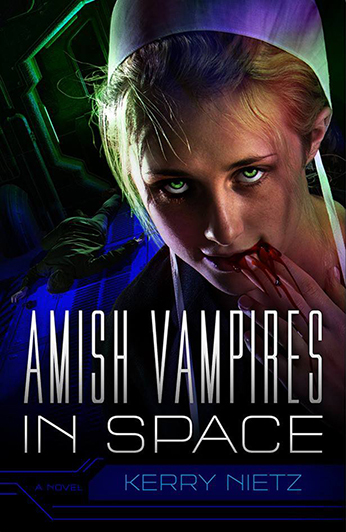 Amish Vampires in Space is his fifth novel. It was a weight, really. Something the songs of church service couldn’t lighten. Even daily prayers and scripture reading were no help. It was always present. Always hidden. So Jeb bore the weight. It was God’s will. Like Abraham tying Isaac to the altar. We hold the knife with the faith that God will stop us from using it. With a groan, Jebediah pushed his way out of bed. Beside him, Sarah sighed and rolled his direction. Even with the passage of decades, she still appeared as beautiful to him as when they married. A day twenty years ago now. Her in a simple white dress and kapp. He in his best black suit. Family and friends, similarly attired. A simpler time. A happier time. An early spring. Before the secret had passed to him. “Is it morning so soon?” she whispered. Jeb glanced out the bedroom window. The sun had not yet begun to rise. And neither moon. Only a few distant stars and the mass of what was commonly called the Morning Nebbit. Still very dark. That was a comfort, at least. This sounds like such a fun mash up.